Allama Sharar was son of Revd. Barkat Masih and was born in Mandhiala Tega, a suburb of District Gujranwala Punjab province (now in Pakistan). He studied at CTI Mission High School Sialkot and later went to the American Mission Gordon College Rawalpindi for further studies. Before completing his graduation he joined the armed forces and served n Rana Garh (Bengal), Colombo (Sri Lanka) Bilaspur (India), and Lahore (now in Pakistan). Sharar apparently inherited from his ancestors the vigour and predilection's for serving humanity, the glimpses of which we undoubtedly see in his inspiring messages in the form of colossal poetical precepts which he has left behind apart from the memories of his indefatigable zeal he demonstrated through his active participation, presentation and performances in the community affairs as well as being the author of ten books with eight diwans and also he served as the Chief Editor of Tajalli Magazine issued from Glasgow/UK and later he served as Patron of Christian Times published from Luton, UK. Sharar was a social activist, a political theorist and made some remarkably accurate predictions about the future of his people in India and Pakistan. Unfortunately, however, I am afraid that these attributes of his insightful personality will not be remembered for long. This is a pity. However, what cannot be easily forgotten, even in centuries to come is his great poetic gift and the voluminous poetry he has written and published during his lifetime. Sharar's great literary achievement is not the amount of poetry he has produced, though it is no meagre feat in itself, but the unique ways in which he has kneaded Biblical and Christian theological phraseology in novel poetical renditions. He is a towering master of inventing original metaphors, similes and personifications using Biblical references. Throughout his voluminous work reader can find one enduring theme and that is his unwavering devotion to the cross of his Lord Jesus Christ and his uncompromising love for his chosen beloved, the Christian Church. This truly great scholar, and an irreplaceable son of the Asian Christian community, slept in the Lord on 28th December 1999, and is buried in Luton, UK. The poet behind the famous Punjabi literary work Kakh naien mayray palley ( ککھ نیں میرے پلے ) is the towering Christian Sufic personality of Baba Rustam Khan ( بابا رستم خان ). Though his formal education ended with matriculation (St. Thomas High School Khushpur), his literary flight has soared beyond the limits of many university graduates and titled scholars. Baba Rustam Khan hails from Khushpur, Chack no. 51 Samundri Faisalabad, where he was born in 1941 in an agrarian headed by Baba Qadir Bukhsh. Mr. B R Khan married in 1962 and has lived faithfully with his wife Martha, with whom he has five children. He enjoys reading good literature in Urdu and Punjabi, and acknowledges Allama Ernest Paul as his teacher in both poetry and prose composition. He uses Baba (بابا )as a short literary name. Baba has a long and checkered service record having worked in various foreign embassies and in the Catholic Church Karachi Diocese in the Kotri Parish. He served as a receptionist in the Italian Embassy (1951-1963), as a club manager in Korean Embassy (1965-1969) as a Church man in Karachi (1970-1973), as a guest house manager in an Italian company (1974-1980), as a chef in French Embassy (1981-2006) and then spent one year in Danish Embassy (2007 -2008). His book Kakh naien mayray palley was published in 2009. When I had the privilege of speaking to this master artisan of words, he stated, 'people say, Baba plays with words, but the truth is otherwise, for in reality it is not I who plays with words, but rather words play with me'. Several more of his books are in various stages of publication and will be featured here and on our definitive website: www.cuwap.org, in due course. Joseph Saeed Aasi ( جوزف سعید عا صی ) is a choir director (at Waris Pura Faisalabad), chief organizer (at Classic Recording Studios), a researcher and producer (at Aasi Psalm Ministry), producer at Jalali Jaltrang ( جلالی جلترنگ ) and chief adviser at D&D ministries Sargodha, Pakistan. His father Mehar-uddin Aasi was a distinguished teacher and a celebrated scholar of Urdu and Farsi (Persian). He published three anthologies; two in Urdu: Jalali Jaltrang ( جلالی جلترنگ ) and Saz-e-Janoon (ساز جنوں), and one in Punjabi 'Saran' (ساراں). Hence, it can be rightly asserted that Joseph Saeed Aasi belongs to a very academic and literary family. He also has a deep love for music which he inherited from his maternal grandfather Sharam Dass Sahib. According to one very reliable source, cuwap.org has learned that the Padri Sahib and tabla nawaz ,Padri Thakkur Dass of Naulakha Church, Lahore, was a pupil of Mr. Sharam Dass. Joseph Aasi himself learned the intricacies of the Eastern music from Peyaray Khan Sahib (maternal uncle of Nusrat Fateh Ali Khan). He has had the distinct honour of composing and presenting the poetry of his father into musical renditions which were broadcast from Pakistan Television (PTV) twice on Christmas and once during the Easter festivities. Joseph Aasi's father had great love and admiration for I.D. Shahbaz, and Joshua Fazal-uddin Sahib, and hounouring these sentiments, he has done some ground-breaking research work on these two literary giants of the Urdu speaking Christian world. Ms. Ireen Farhat hails from Karachi. She is a prolific writer and has contributed innumerable articles to various newspapers and magazines, inclding; Jang (جنگ ), Naw-e waqt (نواے وقت ) , Jsarat ( جسارت ), Aftab (آفتاب ), Na'ee batt ( نئی بات ),Akhbar-e Jiahan ( اخبار جہاں ) Magazine, Family (فیملی) Magazine, Ghazi( غازی ) Magazine, Dunya-e Adab (دنیا ادب ) Magazine, The Christ Times Magazine. She began writing poetry while at school. Her literary journy has continued without any let, and she has published her first book, Hawa ka rukh badalna chahtee houn ( ہوا کا رخ بدلنا چاہتی ہوں ). In view of the amount of good quality poetry she has produced in relatively short period of her literary journey, it can be safely concluded that she will no doubt make a permanent mark among her contemporaries. Nazir Qasir was born on 5th of January 1945 in Hooshiyarppur, India. A few days later his mother passed away promptoing his father to take him to Jehlam (now in Pakistan) where his father Aziz Masih's close friend, lala Ootar Narayan Gujral lived. Nazir Qasir lived and received his early education in the Gujral household, and was treated as none of their own children. Inder Kumar Gujal, Prime minster of India (April 1997 to March 1998), was the son of htis same lals Oatar Nayan Gujral. At the creation of Pskistan in 1947, Nazir Qair's father served with the peace keeping troops of UNO and chose to stay in Pakistan despite the insistence of the the Gujrals to accompany them to Inida. Qasir's literary journey began in 1958, and in a few short years he began to be appreciated by the literary giants of his time. When in 1968 his book Ankahin, chehra, hath hit the market, he received glowing reviews and compliments form Faiz Ahmad Faiz, Ahmad Nadeem Qasmi, Sufi Tabassam, Nasir Qazmi, Zafar Iqbal, Munir Niazi and other such prominent poets and literary critics. Qaisar's poetry, like his personality, is inviting and absorbing. I first read his bookd Zaitoon di Patti during school days, and was impressed by his ability to convy deep concetps and delicate emotions uring very simple word and common phraseology. Indeed I was nto the only one impressed by this master artisan of word, for soon after I learned that Nazir Qasir was awarded the Adam Jee Award for his publication. I was pleased at this news. Ankhain, chehra, hath (آنکھیں ، چہرہ ہاتھ ) poetry, 1968. Ankhain, chehara, hath poetry, 1968. Zaitoon the patti - Punjabi poetry (زیتون دی پتی) Punjabi poetry, 1979. Teree Duneiya (تیسری دنیا ) long poem, 1979. Gunbad-e-khouf say basharrat (گنبد خوف سے بشارت ) poetry, 1984. Rujhanat (رجحانات ) collection of articles, 1984. Naiy ehd kay geet ( نئے عہد کے گیت ) Christian songs, 1984. Temharay shehar ka maosam (تمھارے شہر کا موسم ) poetry, 1992. Haray Krishna (ہرے کرشنا ) long poem, 1993. Qasam fajar day taray dee (قسم فجر دے تارے دی ) Punjabi poetry, 2003. Danish ka buhran (دانش کا بحران) A philosophical treatise, 2004. Dhool main dhanak (دھول میں دھنک) Autobiography, in the publication process, 2014. 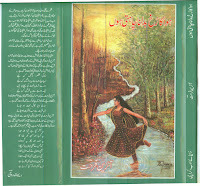 Koonjan bharya asman ( کونجاں بھریا آسمان ) Punjabi poetry, 2014. Masihiyat ki tashkeel-e-nau (مسیحیت کی تشکیل نو) An analysis, 2014. Mausam ( موسم ) Compilation of various works, 2014. Ay hawa moazan ho ( اے ہوا مؤزن ہو ) poetry. His ghazzals have been sung by the greats of the music world: Ustad Ghulam Ali, sang, woohi palkoon ka japakna woohi jadoo tayray وہی پلکوں کا جھپکنا وہی جادوتیرے ), Madam Noor Jehan sang, Aa ja ray, Aa ja mayray pass ray آ جا رے، آ جا میرے پاس رے ) and Gulsha Ara Sayed sang the blockbuster hit ghazzal, Temharay shehar ka maosam (تمھارے شہر کا موسم ). His other all time favorite which has been sung by various artists is Dewaroon say batein karna acha lagta hai (دیواروں سے باتیں کرنا اAa ja ray, Aa ja mayray pass ray was filmed in the Neya Sooraj ( نیا سورج ) which was released in 1977 and become one of the top cinema sensations of its time.